Stockholm, once named “the most photogenic city in Scandinavia” by CNN, has long been a popular tourist destination. 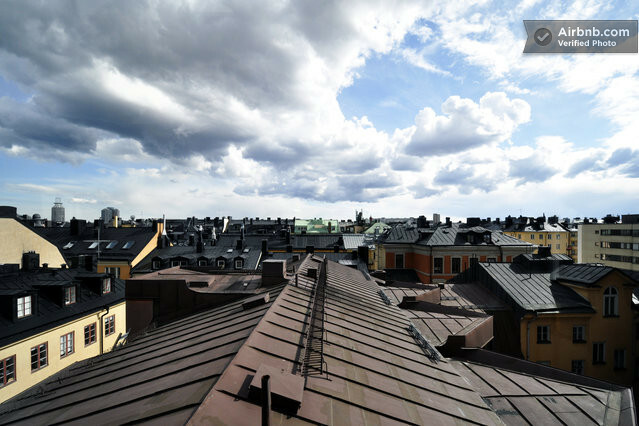 The fact that Vogue recently crowned Södermalm in Stockholm the third coolest neigbourhood in the world shows that Stockholm hasn’t lost it’s cool. 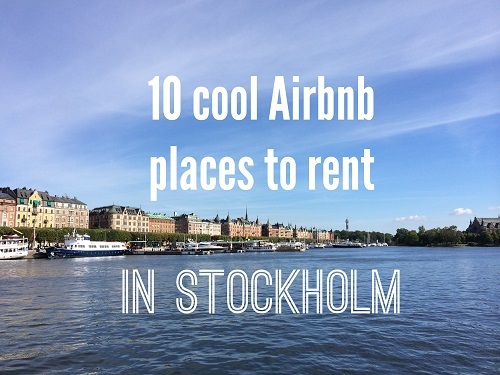 With the rise of sites like Airbnb, there are now also a rich selection of cool places to rent in Stockholm. 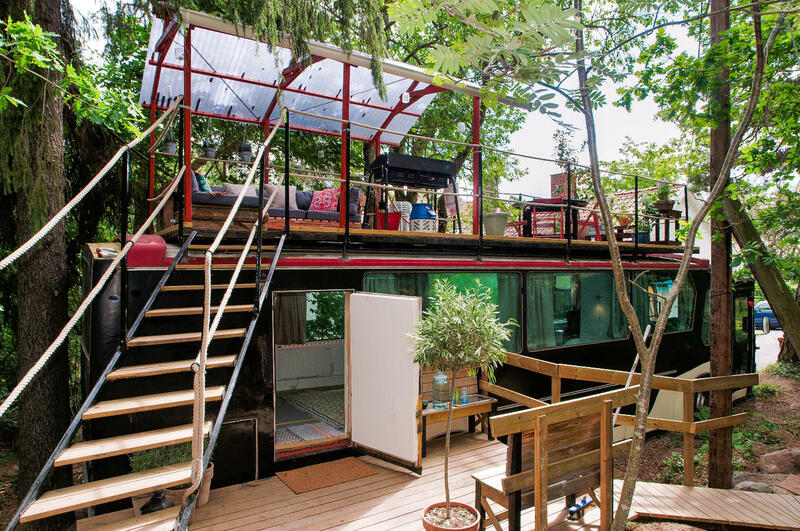 Here’s a list of a few of the best Airbnb listings in Stockholm, Sweden. 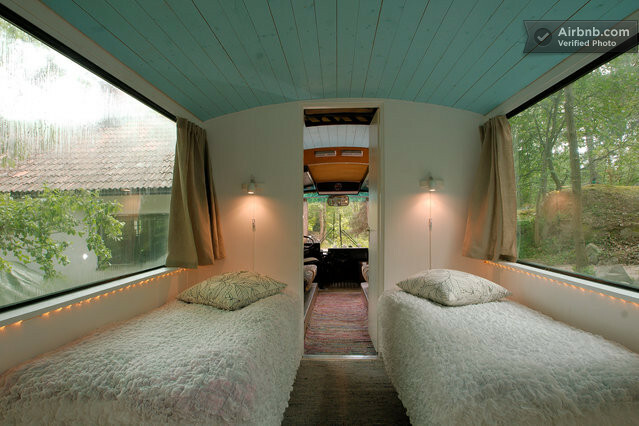 A fully renovated 1976 bus situated in Bromma outside of Stockholm, with forest surroundings and a lake nearby. Pretty cool! 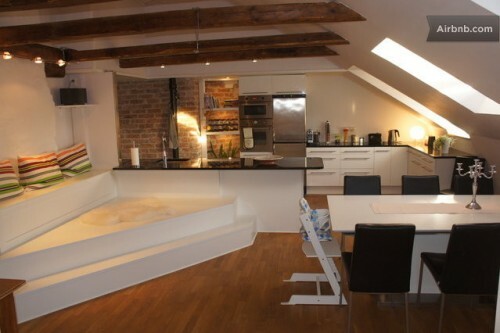 Rather stay next to water? Well, you can’t come much closer than this. 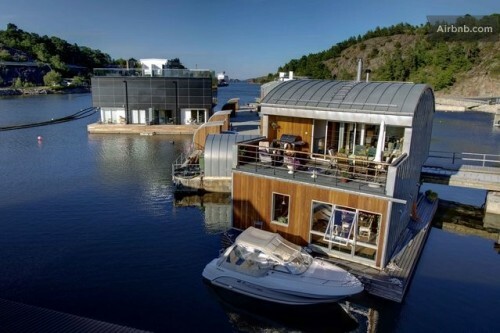 A stone’s throw from the center of Stockholm lies this unique accommodation floating in the water. Take a swim or a walk along the water. 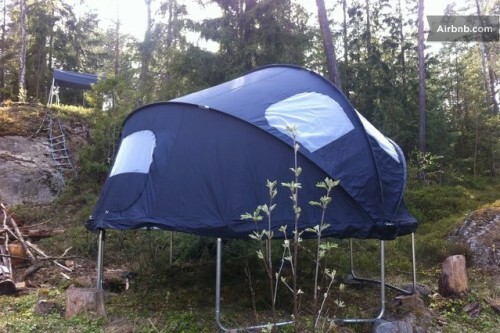 Stay in style. This luxurious apartement hosting up to six people is situated in Norrmalm in the Stockholm city centre. 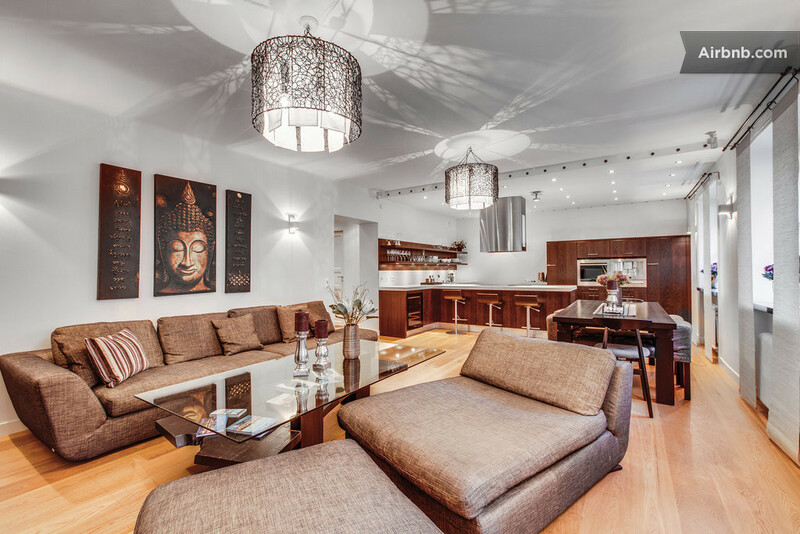 A stunning 120 m2, 3 bedroom loft apartment in the trendy Södermalm, Stockholm with large open-plan living area and a rooftop terrace. Rent your own little house by the sea, just 20 minutes outside of Stockholm. 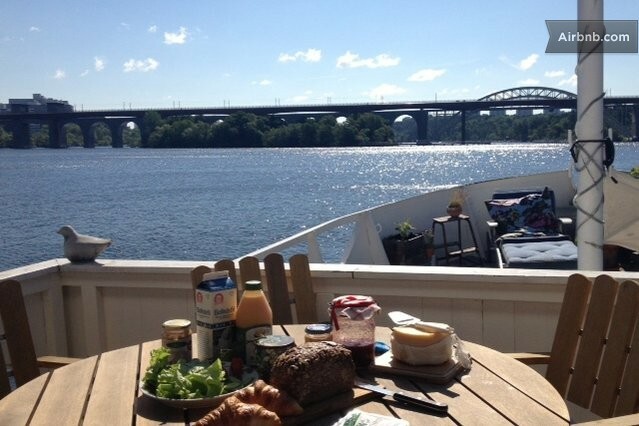 Includes your own jetty, boule court and a stunning view of the sunset and the huge ferries that pass by. Sleep in a tent on a trampoline, or just stay in the 15 m2 cabin, located on Lidingö in what is said to be Sweden’s oldest community of summerhouses. How about this bedroom view of the rooftops of Södermalm? 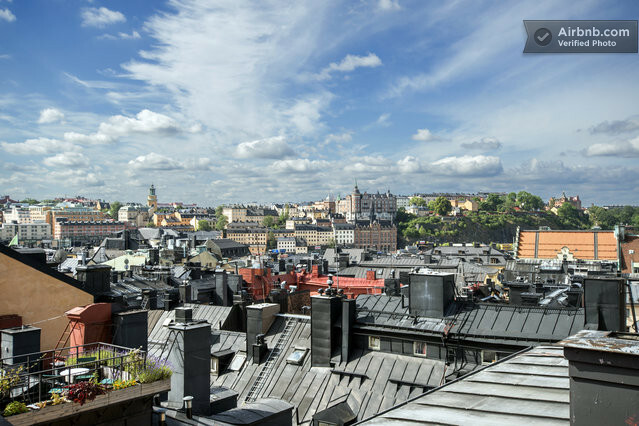 This open flat at Mariaberget in Stockholm comes with a small terrace to the west. 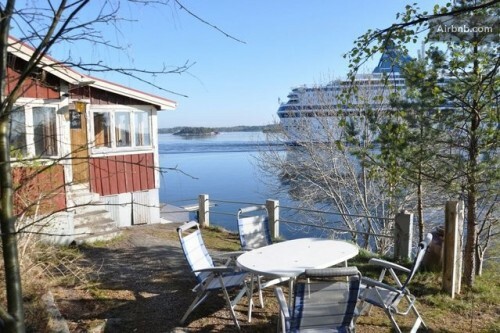 If you would love to stay on a boat but one room is too little, why not rent an entire boat? This 140 m2 boat comes with a large terrace and a great location near the city centre. With only a few minutes walk to the island of Djurgården, the Wasa museum, the Skansen open air museum, shopping and much more, this exclusive apartment has the perfect location in the most fashionable parts of Stockholm. Located in the charming Old Town, you could not ask for a better view than this. This apartment has a roof terrace with a wonderful view of the central parts of Stockholm. 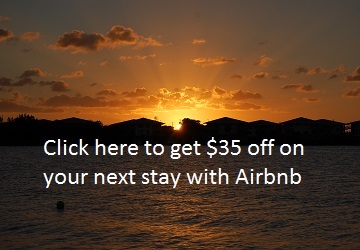 If you want to rent a place on Airbnb you can get a discount by just clicking the image below. 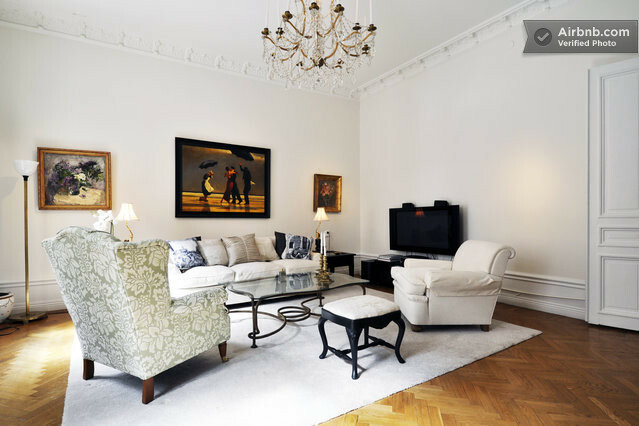 The affiliate link will give you a $35 credit on your next stay with Airbnb if you register a new free account.